Free from the requirement of making digital versions of print, scalable or already existing fonts, Kare focused on optimizing screen readability creating new bitmap fonts in specific sizes, controlling every single pixel as she was wont to do. 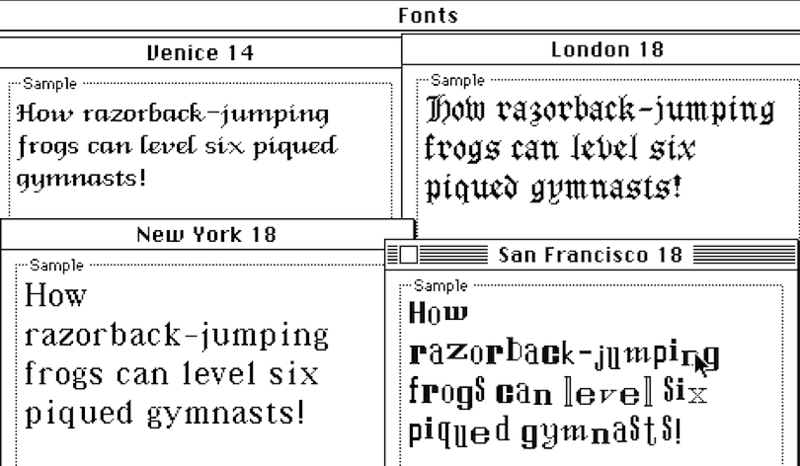 At the beginning, much of the designer’s efforts were concerned with the system font, used in titles and menu items, both enabled or grayed out, and alert windows and dialog boxes. The result was a stylized font that was modern, clean and readable, so well-made that Apple kept using it as the default on the Mac for thirteen years (until Mac OS 7.6), and adopted it for the iPod interface. Jokingly, Kare called it Elefont, a pun on ‘elephant’ and ‘font’, but it is best known with its official name: Chicago. The typographic arsenal of the first Macintosh was completed by various other fonts, different in style and purpose: serif and sans serif, gothic, monospaced, symbols and even one resembling cut out newspapers letters for a ransom demand. But these names are not familiar to Mac users. Why? Because Steve Jobs disapproved of the choice, and decreed that the fonts needed names of big cities, not of unknown places. That’s how Elefont and the others became Chicago, New York, Geneva, London, San Francisco, Toronto, Athens, etc. and even the calligraphic font by Bill Atkinson was renamed Venice. 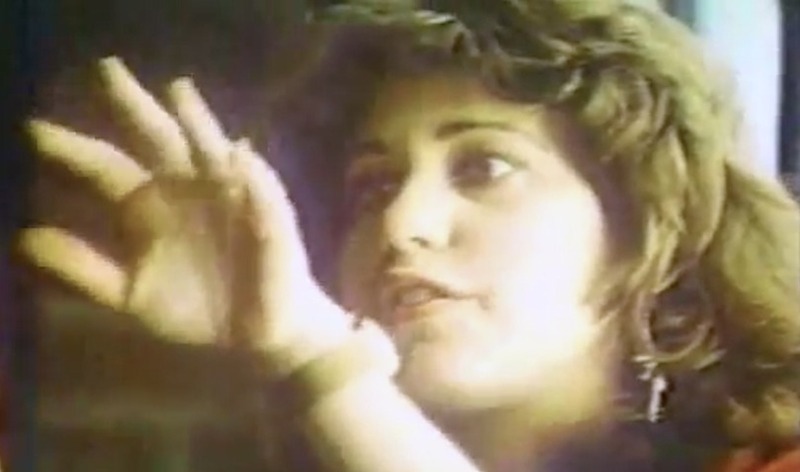 Note: the picture of Susan Kare is taken from one of Apple’s 1984 Macintosh commercials, while the screenshot of Xerox Smalltalk system is from an article by Larry Tesler on BYTE 8/1981, page 120. Both are reproduced for illustrative purpose only. 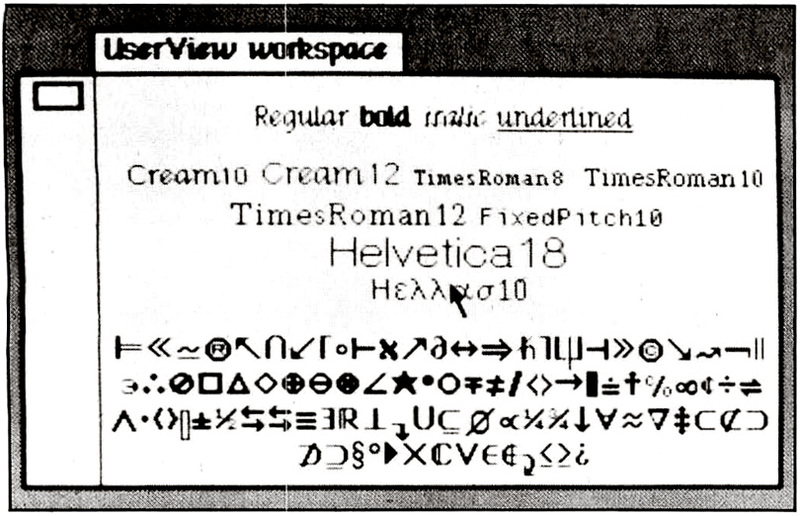 The Mac fonts image is from the Storie di Apple archive. Thanks to Serena Di Virgilio for helping out with the translation of the original italian text into english.